One of the things that time poor city consumers suffer from is information overload. We are inundated with news and information incessantly from the minute we wake up, on our commute and everywhere we go throughout the day. The tide continues even when we’re home trying to relax and switch off after a busy day. It’s a tirade that a lot of us tend to tune out in a bid to function without constant distraction. The Week is a great publication that aims to bring all the best bits of breaking news and current affairs into an intelligent shortcut to what’s really going on with a view that’s both balanced and concise. Bite size chunks that allow us to read less and know more. Published by Dennis, recent strategy has centred on increasing subscriptions and readership in affluent London suburbs. Having tested the water with a campaign in Richmond last year, Dennis are back with a follow up campaign in Kingston. 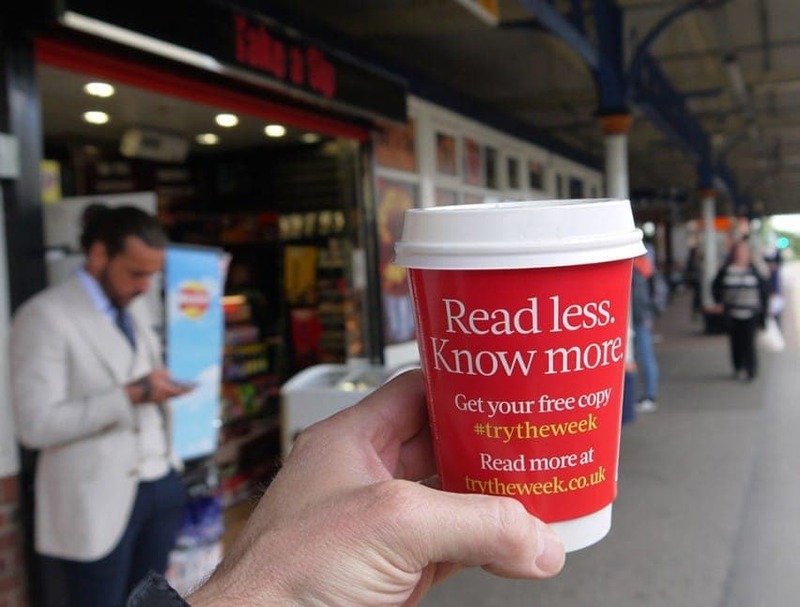 They are using a combination of Tablewrap and Coffee Cups to dominate the café environment in Kingston offering consumers a chance to try a free copy of The Week. 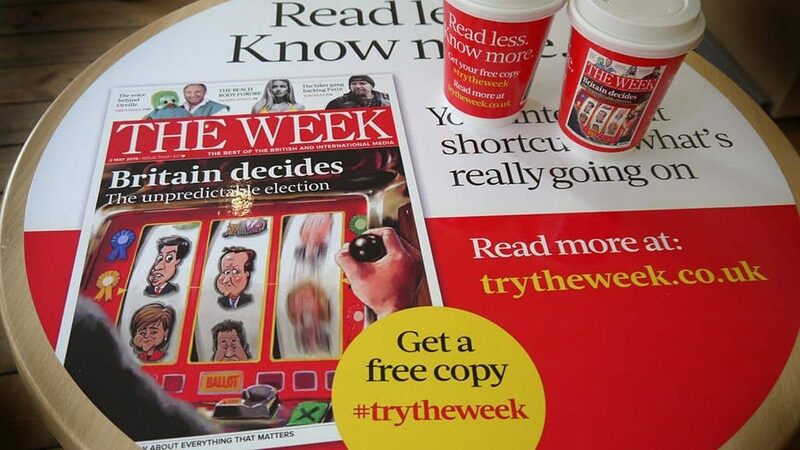 The media is supported with magazine sampling in-store, an ideal opportunity to capitalise on the daily dwell time of coffee consumers who have time to spare to give The Week a try. The campaign was planned and booked by Mediacom and Kinetic Worldwide.